FOIA to Treasury seeking information related to the Trump Organization claims that the organization donated the profits it has received from foreign government patrons at its hotel properties to the U.S. Treasury. Order from the U.S. District Court for the District of Columbia denying American Oversight’s motion seeking expedited processing of the FOIA request for records related to Solicitor General Noel Francisco’s recusal from participating in the travel ban case in early 2017. DOJ has already produced a number of these records while the legal case has been proceeding. Following the release of emails uncovered by American Oversight and independent reporting by the Washington Post and CNN, the Department of Housing and Urban Development’s Inspector General has announced that it will be conducting an investigation into the role that Secretary Ben Carson’s family - and in particular his son, Ben Carson Jr. - has been playing at the department. FOIA seeking records of Scott Pruitt’s first-class travel waivers and waiver requests and any final determinations either approving or denying EPA Administrator Scott Pruitt’s first-class airplane travel for personal and business-related trips. Housing and Urban Development (HUD) Secretary Ben Carson has allowed his family members to be involved in, and benefit from, his position at the department. In particular, Carson’s son Ben Carson Jr and his daughter-in-law Merlynn Carson, appear to have an unusual amount of influence on official government business. Emails uncovered by American Oversight and analyzed by news outlets reveal that both Ben Jr and Merlynn Carson have attempted to use their influence at HUD to advance their own private interests. American Oversight has filed a lawsuit to learn more about Secretary Carson’s leadership and potential conflicts of interest in the department. The documents we obtained revealed how Ben Jr. used his special access to play matchmaker between his business contacts in the city and his powerful father. Emails and other documents uncovered by American Oversight's lawsuit against the Department of Housing and Urban Development (HUD) show that Secretary Ben Carson's son, Ben Carson Jr., has been using his influence at the agency to connect business associates with senior government officials. 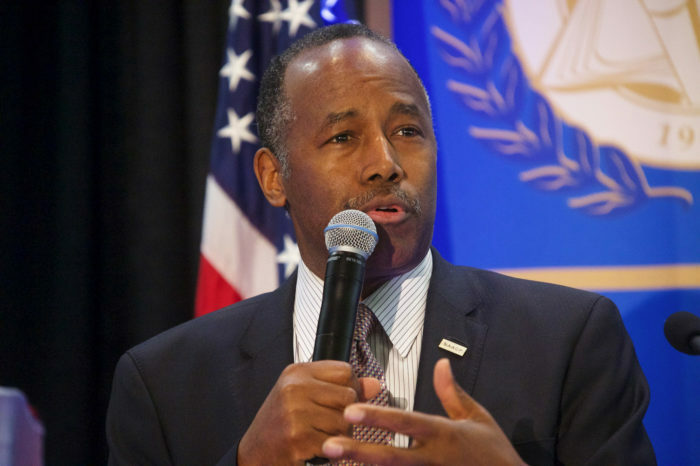 Documents from the Department of Housing and Urban Development (HUD) related to the role of Secretary Carson's son, Ben Carson Jr., at the department and his participation in a listening tour event in Baltimore.